Click the button below to add the Relaxed Hair Conditioner to your wish list. Our Relaxed Hair Conditioner absorbs and penetrates instantly to protect and moisturize from the inside out, leaving hair vibrant, shiny and silky smooth. Dramatically improves softness, smoothness, and manageability with every use. Even the most damaged, dry, brittle relaxed hair quickly regains its strength, suppleness, and radiance. Prized by the Amazon, Buriti Fruit and Babassu oils provide unique moisturizing and hydrating properties that leave strands strong, healthy, shiny and fully restored. Our Relaxed Hair Conditioner improves the appearance, condition, and sheen of damaged relaxed hair, leaving hair smooth, moisturized, and soft with visible health. Nature’s best ingredients provide nutrients with vitamins that feed, hydrate and restore for great, healthy-looking relaxed hair. Keratin straightening treatments, perms, colors, and other hair treatments are maintained and protected. Our chloride free and sulfate free conditioner for relaxed hair is gentle enough for daily use. Hair shine is more vibrant, quickly detangles, controls flyaways, strengthens hair, and helps prevent damage. Avocado oil is one of the few oils that are known to have the ability to penetrate hair strands to be absorbed. It deep conditions hair and the scalp while its proteins help fill in damaged areas to prevent future breakage, making this a beneficial oil for relaxed hair. Aloe Vera moisturizes and smooths hair to make it shiny and fully hydrated. 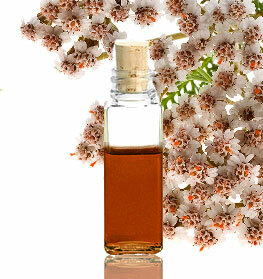 Rose Flower Hydrosol makes the hair softer, shinier and healthier. The rich unsaturated fatty acids in Buriti oil help rebuild, moisturize and re-hydrate dry relaxed hair strands. Broccoli Seed Oil is unique for its silicone-like abilities for creating shiny and glossy looking hair. It is non-oily and will not leave a residue. Grapefruit, Orange Peel, Peppermint and Clary Sage essential oils make for a crisp, clean, and refreshing experience. 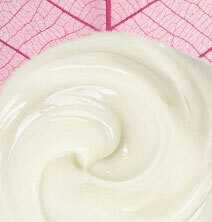 From South America, Babassu oil moisturizes without a greasy or oily feel to it. Apply an adequate amount of the Relaxed Hair Conditioner from mid-shaft to ends first, like you're making a ponytail on wet, shampooed hair. Leave on for 2-3 minutes for the best saturation, then rinse thoroughly. Follow with a leave-in moisturizer as needed. • You can use this conditioner as a co-wash. We suggest co-washing about once to twice a week or depending on your schedule. • You can mix this conditioner with your favorite oils and apply it to your hair prior to shampooing. • Do not brush wet hair. This can cause breakage. Aloe Barbadensis (Aloe Vera Hydrosol), Rosa Damascena (Rose Flower Hydrosol), Persea Americana (Avocado) Oil, Brassica Oleracea Italica (Broccoli Seed) Oil, Mauritia Flexuosa (Buriti) Oil, Simmondsia Chinensis (Jojoba) Oil, Orbignya Oleifera (Babassu) Oil, Camelina Sativa (Camelina Seed) Oil, Olea Europaea (Olive) Oil, Butyrospermum Parkii (Shea)Butter, Citrus Paradisi (Grapefruit)Oil, Citrus Sinensis (Orange) Peel Oil, Mentha Piperita (Peppermint)Oil, Salvia Sclarea (Clary Sage) Oil, Cetearyl Alcohol, Behentrimonium Methosulfate, Myrica Pubescens Fruit Wax (Laurel) Wax, Glyceryl Caprylate, Phenethyl Alcohol,Glycerin, Hydrolyzed Jojoba Protein, Guar Hydroxypropyltrimonium, Citric Acid, Panthenol (Pro-Vitamin B5). Being an African American, I have always had problems finding a conditioner that works for me. I have to say this is a wonderful conditioner. I purchased it, and also the shampoo for relaxed hair, together the products worked miracles on my dried out hair. It actually makes my hair feel softer and smoother than the salon product I was using before. This conditioner is now my "I can't live without it" product. This is an excellent conditioner. It's thick like a deep treatment, but you don't have to leave it on while you stand there in the shower and wait. I like that it is nutritive too. Where has this been all my life? I did not even know that there was a shampoo for relaxed hair before! This thick, rich conditioner should've been on the market long before I wasted so much money trying to find "the one" to quench my parched, long, thick, locks. My hair is finally on its best behavior without the addition of tons of styling cream to tame the frizz. I can now enjoy shiny, tangle- free hair. The whole African American line is simply amazing and, for once, I've found products that actually live up to their promises. God Bless you JustNatural!!! LOVE IT, LOVE IT, LOVE IT! I have chemically processed hair and I've tried everything my hairdressers have recommended and NOTHING works better then this! I use the relaxed hair shampoo, hair serum, and this! Totally AWESOME conditioner! I can't say enough about this conditioner! JN’s Conditioner is positively the best deep conditioner I have ever tried. It is definitely worth the full price... and then some! I have long, frizzy, dry, color treated hair and it is very difficult for me to detangle my hair after shampooing. Not to mention, my hair is so dry that, ordinarily, I have to plaster half a bottle of conditioner to my hair to relieve the dryness. But a little of this conditioner for relaxed hair goes a long way. It is the thickest conditioner I have ever seen, and the scent is very pleasing. This product leaves my black hair easy to detangle, amply moisturized, silky- soft, and restores the shine. The only thing I regret is not trying this product sooner! This is the best black hair conditioner I've found for my thick, curly coarse hair. I've also used the relaxed shampoo. My hair is now unbelievably soft and not greasy at all. I'm done experimenting with conditioners- this is what I'll use from now on! I love this conditioner!! This is the best shampoo and conditioner duo for black hair Ive ever tried. My thin fine hair is finally smooth and moisturized! Somehow duo completely smoothed my dry, frizzy relaxed hair! It has even reducted my breakage after the first use. Highly recommend! I use the conditioner in combination with the shampoo. Leaves my hair soft and healthy feeling. There are not a lot of natural products that are for my kind of hair. I am very excited about this product. This leaves my hair soft yet not greasy or weighed down. These are my favorite hair products ever. I wish I found this company before I ordered the product I had before in bulk :(. I'm switching to Just Nutritive, there prices are better and there's not a product more natural that works so effectively. I am thrilled with this conditioner. I wish I found them sooner. I'm spreading the word best hair products I've ever used.